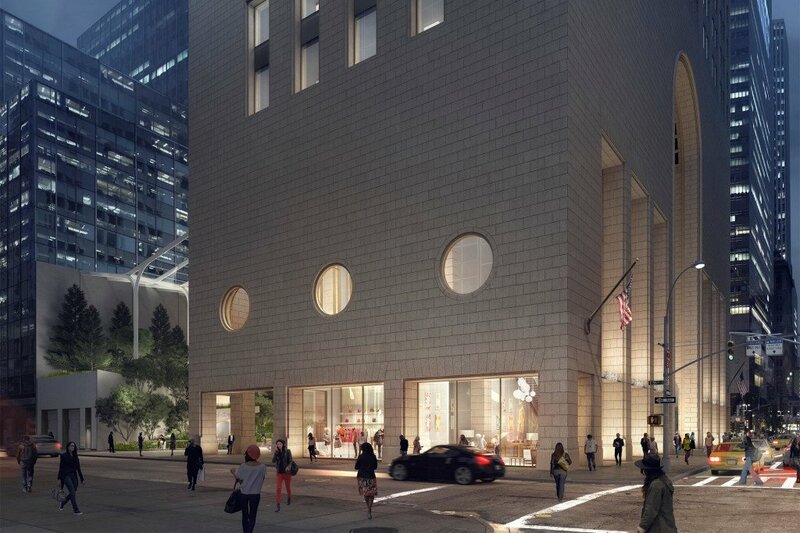 Robert A.M. Stern weighed in against the design, alongside protesters bearing signs that read “Save the Stone,” “Save AT&T,” and the media-friendly “Hands off my Johnson.” As a result, 550 Madison received official city landmark designation in July of 2018, changing the stakes for its redesign, as 6sqft reported. 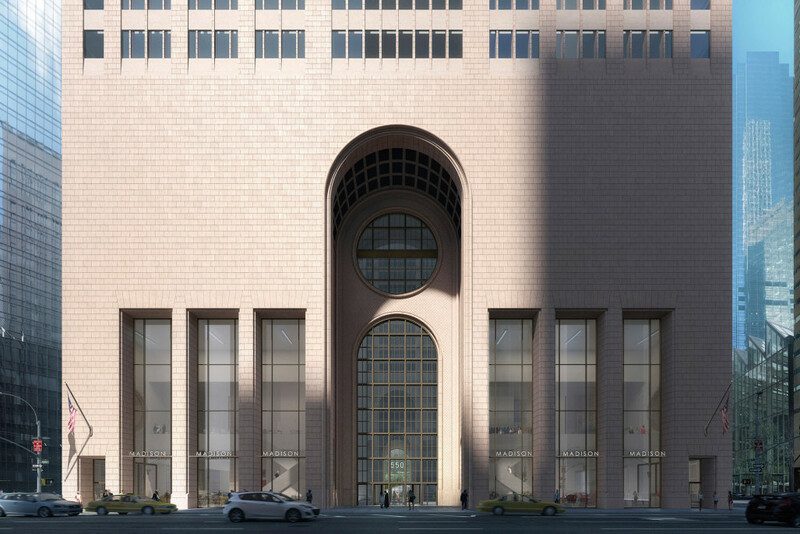 The latest revision preserves 94 percent of the facade including its iconic top and includes three tall windows on either side of the building’s 110-foot-tall entrance archway, recessed to emphasize the granite columns between them. Nearly transparent mullions would take the place of the current darkened ones. A big challenge to the acceptance by preservationists lies in the privately-owned public space (POPS) at the building’s street level. 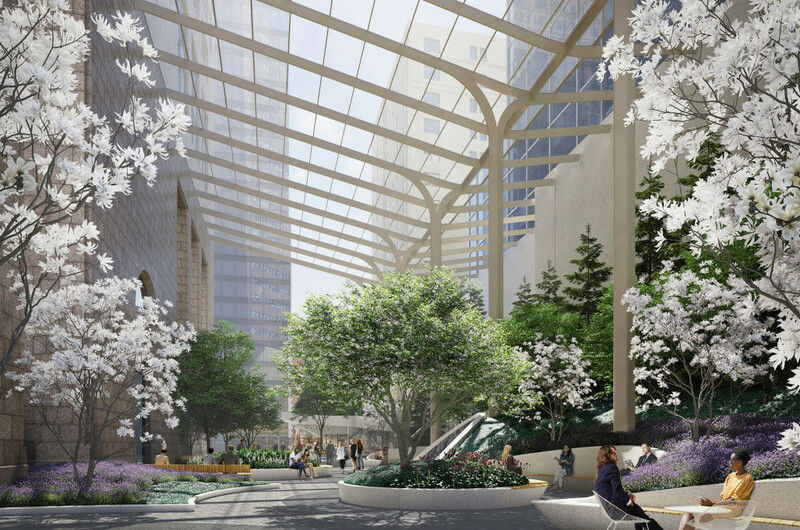 The new design nearly doubles the floor area in the rear arcade, creating a garden-like public space covered only by an airy glass canopy, with the current side street enclosures removed. 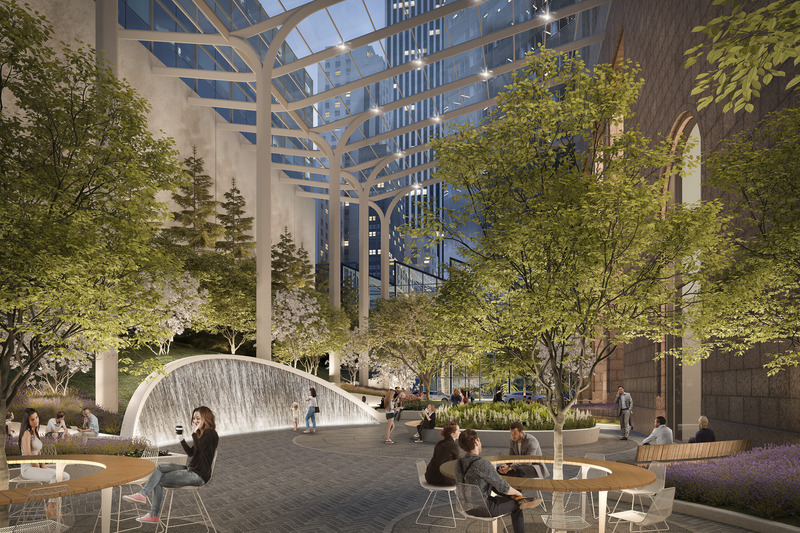 Snøhetta’s new vision would bring the available public space to around 21,300 square feet with seating for 240 and plenty of greenery. Olayan and development partners RXR Realty and Chelsfield have presented the new design to Community Board 5 to begin the review process. Next for the redesign is a Landmarks Preservation Commission hearing with a decision expected January. Olayan, who purchased the vacant tower in 2016 for $1.4 billion from Chetrit Group, estimates the project will cost about $300 million and hopes to reopen the building with 850,000 square feet of office space for lease by mid-2020.